Advika Web one of the best and affordable Cloud Server hosting Provider in India. Advika Web offer Top Cheap and affordable public cloud and private cloud hosting services India with fast, secure and reliable cloud hosting India. Cloud enables flexibility and short term planning with unlimited growth capacity. This is the perfect option for those looking for setup assistance, but would like to handle the bulk of server management themselves. We'll manage migrations, backups and proactively monitor your server 24x7 to ensure every aspect of your server is regularly running smoothly. 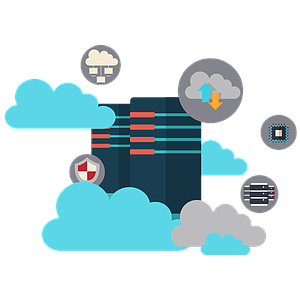 Private Cloud servers are utilized by a single client and are custom designed for the application that the cloud will be used for. All data is stored on high-availability SAN Storage Servers equipped with fast SSD drives to ensure low-latency access and constant availability. Scale your server computing resources on the fly. A single mouse click adds additional CPU, memory and hard drive space to your Cloud Container. Infrastructure control is fast and intuitive with hosting thugs cloud web interface, and infrastructure-as-code control is provided by OpenStack’s flexible and comprehensive API. Not finding a package that fits your requirements? Contact us today for a custom built public cloud solution. Our sales team is happy to review your requirements and design the perfect cloud package for your budget.